Time is one of the most precious resources we have. Most people know that, including your users. Time is so precious that if your website takes longer than 5 seconds to load, you can kiss goodbye to 75% of your potential audience. Ouch. It’s clear that as designers we need to create user experiences which address these problems; our existence relies on it. Google carried out a poll a while back during their mobile friendly campaign which uncovered the top frustrations among users. How can we remedy this and provide better experiences so our users don’t hate our mobile apps and websites? Well, through prototyping, of course. In this post, Justinmind will look at these problems individually and find out what solutions we can prototype to create better apps, so that our users start to love us again. Make users fall in love with your mobile app. Download Justinmind free. Slow load times are a real buzz kill. Honestly, on the World Wide Web patience is scarce and if a page takes too long to load, it can drastically hurt the user experience. How many times have you jumped ship because of the eternal load? Not only does it damage the user experience. 44% of customers would tell a friend that they had a bad shopping experience online if the page didn’t load within 3 seconds. The heat is on. Let’s look at how we can transform that arduous 3 second wait into something more than tolerable. Alright, sometimes waiting just has to happen. There is no way around it. But, that doesn’t mean we can’t turn the inevitable into a pleasant user experience. Enter progress indicators. A progress indicator minimizes user frustration by providing adequate feedback about what’s going on. Shneiderman, the man behind the 8 golden rules of UI design, wrote that good UX ought to offer informative feedback. Users should be in control and know what’s going on at all times – a progress indicator helps achieve this. It also turns out that users prefer to have progress indicators. Why? Because as humans we are driven to have goals and then to accomplish those goals. To make your own progress indicator, simply download Justinmind and fire up a new prototype. Pick a mobile template and create your UI with our pre-built widgets. Don’t forget to checkout our extensive UI kits because you may find something in there that could give your UI an extra pop. Then with a combination of variables and rich Events, you can simulate a loading bar / progress bar. Ads are a big problem, not just confined to UX design. They can interrupt a user’s experience, creating a well of anger within them which could see your users never returning to your product. Getting ads right takes a lot of fine tuning, as any ad executive will tell you. But it’s especially difficult to get right online. One thing to avoid doing when it comes to creating mobile apps and websites is autoplay videos. We mentioned Shneiderman’s golden rules, but Jakob Nielsen has ten of his own too. Number three is giving the user control and freedom. There’s nothing worse than going on a website, opening several links to read and being hit with a melange of different noises, trying to grab your attention from the multitude of opened tabs. This is the kind of out of control, freedom-denying experience that your users don’t want. OK, so you need to generate revenue from these ads. They’re an important part of your business strategy, which means they’re also an important part of your UX strategy. To gauge whether or not your user is overwhelmed, annoyed and frustrated by the ads in your product, carry out some real time, real life user testing. It’s a quick, cheap and effective way to get relevant information about how people feel and use your products. Justinmind is integrated with a raft of awesome user testing tools from Validately to CrazyEgg and UserZoom. User testing is useful for exploring other avenues in your design, too. Once you’ve figured out the perfect ingredient for a great ad experience, why not testing other elements of your wireframes and prototypes? A picture may be worth a thousand words but a video is worth, well, more. A video can succinctly get a message across in a way that words can’t. The visual aspect of video drives up user engagement and, apparently by 2019, global consumer Internet video traffic will account for 80% of all internet traffic. In fact, YouTube reports that mobile video consumption rises 100% every year. Video is important in UX design. With a video, you can really show an experience or convey an emotion. But, while videos are an awesome communication tool, they can also be heavy in size and take up a lot of space on the screen. First things first, don’t have any of your videos autoplay. It bears repeating because so many user’s hate it. Second, you can embed your videos and audio files in your prototypes really easily in Justinmind. With our HTML widget, you can drag it onto your user interface and grab the YouTube (or whichever video hosting website you prefer) link and copy into the Properties tab of the widget and you’re good to go. It’s that simple. 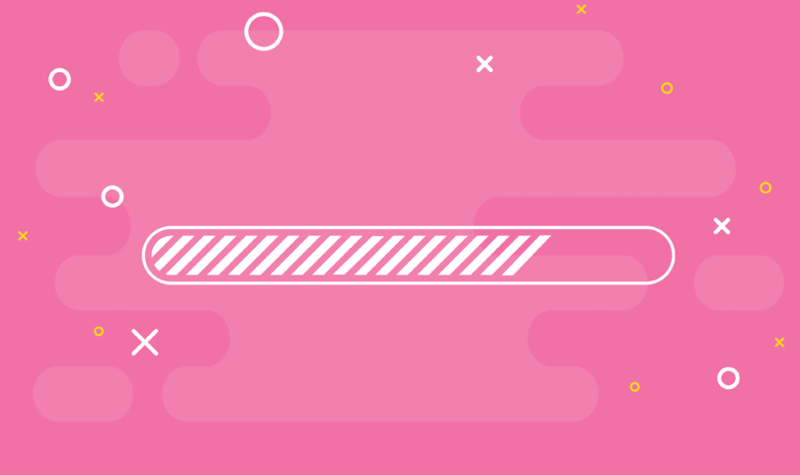 By embedding and then simulating your prototype, you’ll be able to ensure that everything works as it should, preventing the dredded unplayable video scenario that so many users loathe. Sometimes your users end up somewhere that they don’t want to be or even where they shouldn’t be. This can result in a redirect to the homepage, which frustrated 13% of respondents in Google’s poll. 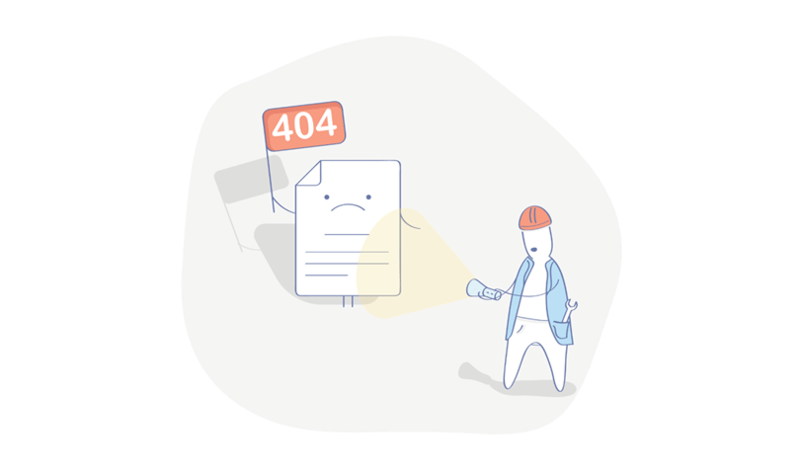 A well designed 404 error page is an opportunity to boost usability, guide users to more relevant parts of your website and maintain a seamless user experience. To be hit with a 404 error page is a frightful thing for users navigating websites. Shock and awe may be too extreme a way of describing it but a 404 error page forces the user to stop what they were doing. It’s an unexpected disruption. Let’s transform that unexpected disruption into a moment for powerful UX design. Your 404 error page should have a basic structure – a notification that the page doesn’t exist, a search box, link to the website’s site map and a link to the homepage. All of this is easily created in a Justinmind prototype using our pre-built widget libraries. Just drag and drop the specific elements onto your canvas and you’ll be good to go. You might want to create more than one error page and that’s where the power of templates comes in handy. It’ll save you any unnecessary rework and gives you the same structure over and over again. To get some inspiration for your own 404 error page, don’t miss out on these brilliant examples. UX design is like a never ending battle. The more we fine tune and craft awesome user experiences, the more we find things which displease our users. Whether or not the perfect user experience exists is still unknown but one thing is certain: with these 4 tips, you’ll be much closer to your users staying with you instead of abandoning you.